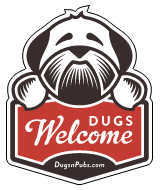 Dog Friendly Places in Blair Atholl. We are a pet friendly hotel and welcome guests with well behaved pets in a selection of our rooms. Ideally pets should bring their own bedding. Working dogs are regular visitors to the hotel. Charge for dogs is £5 per night. Locals and visitors alike un-wind and swap tall-tales in cosy, informal surroundings in the Bothy Bar, where food is available all day. There are a total of 1 dog friendly listings in the Blair Atholl category. Please log in, or sign up as a member to view all listings.